Frontiers Music Srl is excited to announce the release of IMPELLITTERI’s brand new studio album, The Nature Of The Beast on October 12th! Today, the band has unveiled a new song from the album, "Run For Your Life", and you can check it out below. The Nature Of The Beast can be pre-ordered on CD/LP/Digital HERE. 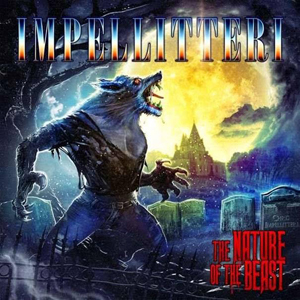 IMPELLITTERI recorded The Nature of The Beast in Los Angeles, California with legendary engineer/producer Mike Plotnikoff (VAN HALEN, AEROSMITH, IN FLAMES), mix engineer Greg Reely (OVERKILL, FEAR FACTORY, IMPELLITTERI), and engineers Jun Murakawa and Sean Shannon.